Burned out, or just negative? I have no trouble believing that a majority of physicians feel negatively about the future of American medicine in view of the Affordable Care Act’s threat to physician pay and autonomy. Personal accomplishment: Measures feelings of competence and successful achievement in one’s work. A recent study in the Archives of Internal Medicine used a version of the Maslach scale to investigate burnout and satisfaction among U.S. physicians. Nearly 38% of physicians surveyed reported high emotional exhaustion, 29% had high depersonalization, and 12% had a low sense of personal accomplishment. 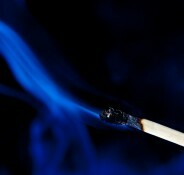 Emergency medicine, general internal medicine, neurology, and family medicine had the highest rates of burnout, the study found. Pathology, dermatology, general pediatrics, and preventive medicine had the lowest rates. (Anesthesiologists were slightly above the mean in their rate of burnout, on a par with ob/gyn and orthopedic surgery.) Characteristics associated with a lower risk for burnout included being older (sorry, Dr. Ofri), and being married. The study also questioned physicians about their satisfaction with work-life balance. Female physicians were more likely to be dissatisfied with their work-life balance than male physicians (43% vs. 39%). Interestingly, three of five specialties that reported the lowest satisfaction with work-life balance also had lower than average rates of burnout: general surgery, general surgery subspecialty, and internal medicine subspecialty. Apparently, for the physicians in these fields, the work itself was satisfying enough to compensate for the time it required. The annual Medscape Physician Lifestyle Report similarly uses a version of the Maslach criteria to define burnout: loss of enthusiasm for work, feelings of cynicism, and a low sense of personal accomplishment. The 2013 report found that physicians in emergency medicine, critical care, and family medicine reported the highest burnout rates, around 50%. Ob/gyn physicians reported the most severe degree of burnout, interfering with life and making them consider leaving medicine altogether. Again, in contrast to Dr. Ofri’s perception, more female physicians than male physicians reported symptoms of burnout (45% vs. 37%), which Medscape attributed to the fact that “women tend to enter generalist professions (family medicine, internal medicine, and obstetrics/gynecology).” Physicians between the ages of 46 and 55 reported the highest burnout rate (32%), with the lowest rates in the under-35 and over-65 physician age groups (less than 10% each). 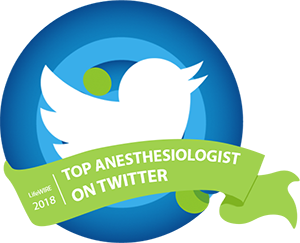 Anesthesiologists ranked fourth in burnout rate in the Medscape survey, tied with ob/gyn, general surgery, and internal medicine, but their rank of 14th in the severity scale “suggests that the severity of anesthesiologists’ burnout is not particularly intense”. A much higher percentage of female anesthesiologists reported burnout in comparison with their male counterparts, 56% vs. 42%. 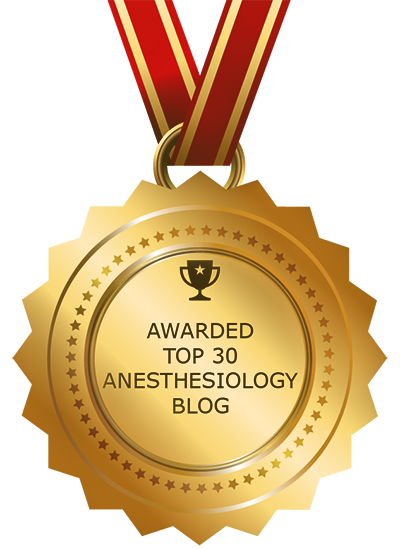 The three highest-ranked causes of burnout for anesthesiologists were too many bureaucratic tasks, the impact of the Affordable Care Act, and spending too many hours at work. Are younger physicians at less risk? Sadly, the process of burnout seems to begin early in physician careers. Survey data from over 1500 anesthesiology residents, reported recently in Anesthesia and Analgesia, demonstrated high risk of burnout in 41%, and high risk of depression in 22%. High risk of both burnout and depression occurred in 17% of residents. Female gender, working more than 70 hours per week, and consuming more than five alcoholic drinks per week were factors associated with increased risk for both burnout and depression. Alarmingly, a third of the residents who scored high for burnout and depression risk reported multiple medication errors during the last year, compared with less than 1% of the residents at lower risk. The lower-risk resident group also reported more consistent performance of best practices including checking airway equipment, checking the anesthesia machine, and reading about the next day’s cases. All the studies cited here are based on survey data. It’s certainly possible that the responses were skewed in some ways. Busier and more successful physicians may be less likely to take time to fill out surveys, or even to open an email that contains information about a survey. Yet burnout appears to be a significant problem for American physicians today, and the combination of burnout and depression may be deadly. At least 400 physicians commit suicide in the U.S. each year, and it seems likely that many are underreported because they are labeled as accidental overdoses. The suicide rate for female physicians is 2.5 to 4 times higher than that of the general population. In contrast to Dr. Ofri’s opinion, female physicians in primary care fields appear clearly at higher risk for burnout than most of their colleagues. We are facing a perfect storm of physician stress. Increased pressure to see more patients and do more cases in less time leads to physical and emotional exhaustion. Declining pay means physicians can afford less of the support services at home and at work that would make their lives more manageable. The federal government’s push to make physicians follow protocols and impose penalties for noncompliance eliminates autonomy and reduces personal satisfaction in the practice of medicine. In contrast to previous generations, many physicians today feel torn between the demands of home and work, adding to a sense of failure or diminished accomplishment. Electronic medical records increase the depersonalization of patient contacts by forcing physicians to spend time on endless data entry that would be better spent with patients. Is all this a recipe for burnout? Of course it is. Physician burnout should be taken seriously, not glossed over with pseudoscience or politically correct propaganda for the Affordable Care Act. It’s not too late for today’s physicians to oppose the destructive forces that threaten American healthcare, and keep the next generation of young physicians from ending up as real burnouts—shift workers on mega-healthcare assembly lines. Love your blog. Wrote a post myself about Sedasys you might find interesting. A Wall Street Journal contacted me for my opinion and I mentioned your name. Keep writing. I am starting to feel the early effects of burn-out. I do not like going to work in the morning. Although the quality of my anesthesia practice has not suffered, my happiness has. The hospital’s focus on financial and fiscal impacts has negatively impacted the interactions and care of our patients. I have numerous friends in my field who feel the same way, and invariably, we all started suffering in our middle to late 50’s (I’m 57). I listen to administrators proclaim the high satisfaction surveys of the medical staff, but that is not reflected in the lives of many of my colleagues. I feel that 20 years of working 60-80 hours per week in a high stress field has taken it’s toll… on our souls. I no longer feel fulfilled (a common sentiment among my closest friends). I am hoping to break away from this toxic environment and find personal happiness, and then, possibly professional fulfillment. I do not know if I will practice anesthesia after that, but only if I find an environment that I can be proud of. First, however, I must make myself happy again. I am a person, a husband, and a father FIRST, and my healing begins here.